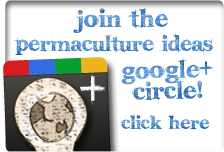 Michael "Skeeter" Pilarski is a popular permaculture instructor well known as a first class wildcrafter. Skeeter shows off a patch of stinging nettle he is growing intentionally. This is in the fall. He talks about getting three crops out of this patch each year. First, a crop of edible leaves; then a crop of seeds (urinary tract medicine) and finally a crop of root cuttings (prostate medicine). He says that he gets about ten bucks a pound for stinging nettle root cuttings and the small patch will produce about 35 pounds. Skeeter says that stinging nettles are a dynamic accumulator, accumulating iron and other minerals. A productive and balanced ecosystem in a low to zero maintenance bathtub pond can play a key role in a Permaculture environment. The video stresses the importance of having many water bodies in a forest farm, which invite a further diverse range of creatures. This little waterbody is a centre of activity: a frog habitat and a thriving community of dragon flies, welcome predators of insects like moths and mosquitoes. Snakes, ants, all types of insects come to drink the water, increasing biodiversity. The short-tail guppies are part of the system to assist in mosquito larvae population reduction. The flowers of this waterlily (Nymphaea) is an important herb of ayurveda - a profitable crop. Steward Community Woodland is a permaculture project which aims to demonstrate the value of integrating conservation woodland management techniques with organic growing, traditional skills and crafts and low-impact sustainable living in Dartmoor National Park. Last year, they received 5 year temporary planning permission to continue their experimental project.